Can I make a reservation? NO, we are sorry. During high season we recommend you to call us at (+0034) 956437154 before traveling to find out if the gauging is completed. Can I bring my dog? NO. We love animals, but during the summer we prefer not to have problems with pets as a matter of peace and quiet. Are there bungalows? NO, but we encourage you to enjoy going camping as it has always been done: experiencing how you and your tent plunge into the forest directly and respectfully. Is there a pool? NO, but you won’t miss it. The sea is 500 meters away. Is there a a safe deposit box? YES. Ask at our reception. Can I make a barbecue? NO. Due to the danger of fire in La Breña Natural Park it is not allowed. We recommend you try our grilled meat at the meadow restaurant, a zone safely enabled. Is there a supermarket? YES. You will find basic items in it to enjoy your stay comfortably. Is there a WIFI zone? Yes. You can get connected at our cafeteria with your own computer. Can I register at the campsite to sleep outside just with my sleeping bag? NO. We are sorry is not allowed. Do you think I will be able to rest or I might be annoyed by the music and the crowd noise late at night? 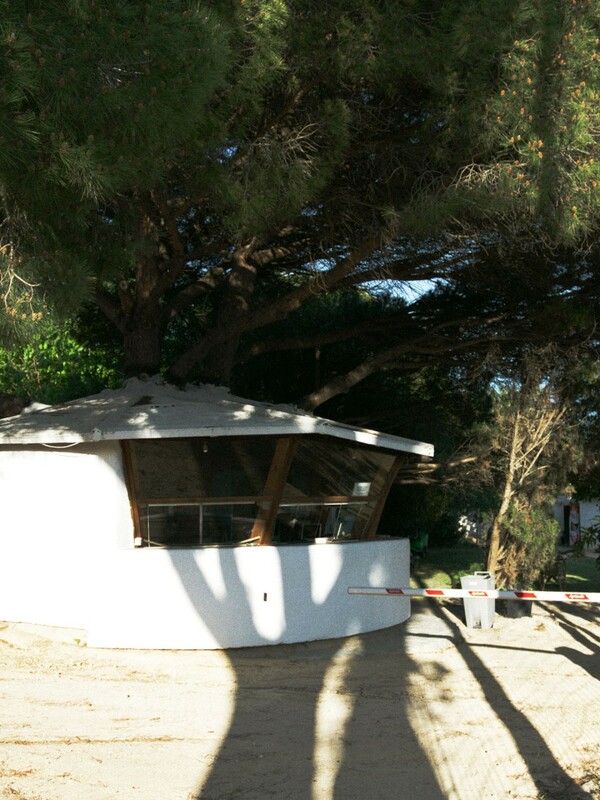 At Camaleón Campsite we believe that the good vibe should not be at odds with the tranquility. We have a rigorous quiet time 12pm-8am, and there’s a monitoring team working to ensure the campers’ tranquility. Can we bring drums and play them outside of quiet time? NO. We do like music very much, but we must respect the campers’ tranquility at any time.